From the great deserts of the west and rocky topography of the Sinai Peninsula to the lush Nile Valley, Egypt is a land of great diversity and mixture with huge appeal to almost everyone. 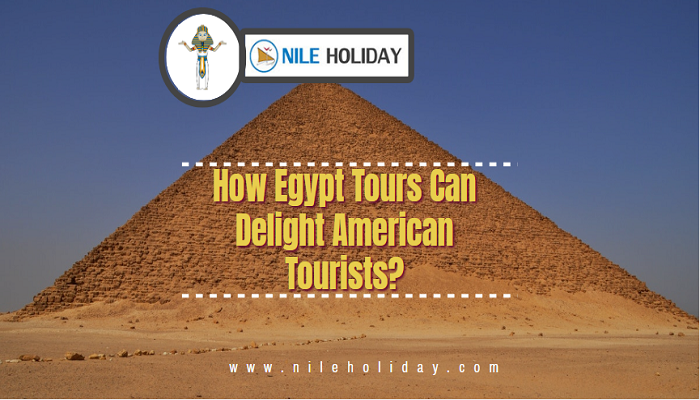 Here are some of the best pros and cons to visiting any destination throughout Egypt Tours for any time of the year. Find out what you can expect during your perfect travel time, from weather and climate to holidays, festivals, and more. Before going for the trip, just go through all the months of the year and the seasons and events associated with Egypt and after that make a perfect plan that will suit your needs in the best possible way for this trip. Visiting a mystic country such as Egypt in January and March is normally good for any visitor coming from any part of the world because all such visitors will be greeted with sunny and warm climate with occasional rains that will make the environment extremely pleasant and favourable for a cool Egypt Holiday Tour. Moreover, it is also within the peak travelling season as temperatures are comfortably cooler in the months of summer. It also means that you have to book your reservations for hotels, cruises, sites as well as packages early before they get busy and rates getting high. Throughout the months of January till March, you will be able to witness a spectacular national event on 25th January also known as Revolution day when locals celebrate the start of the 2011 uprising. 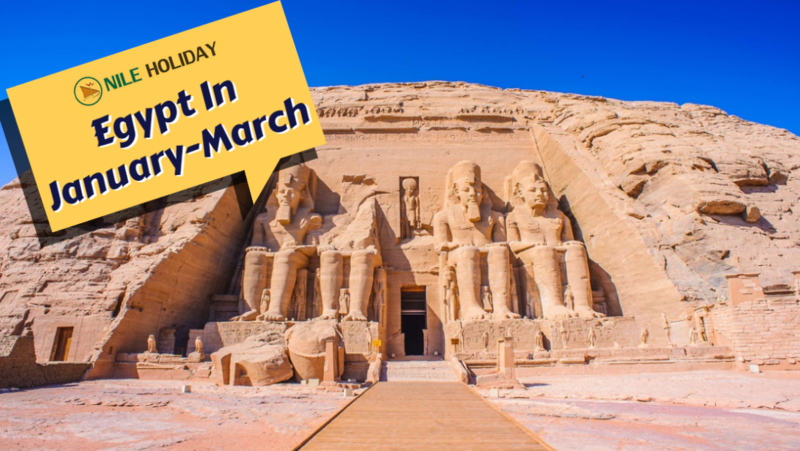 In the late month of February, you can also cool your heels by watching a fascinating festival that is held twice a year and is well known in the region known as Abu Simbel Temple. 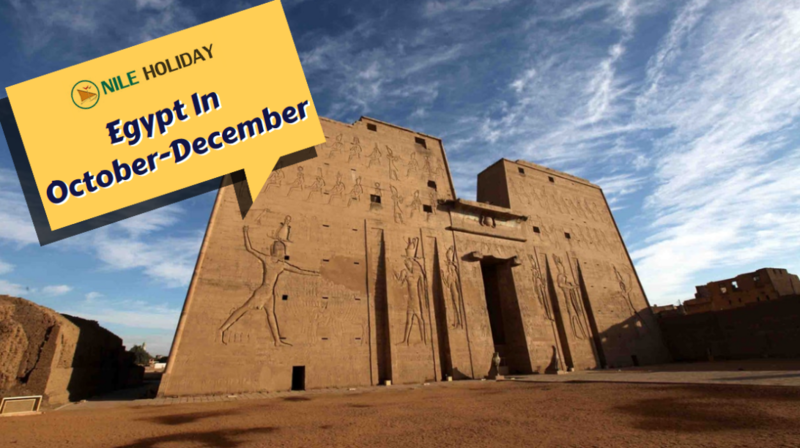 This festival marks the day when King Ramses II ascended to the throne. This festival also marks his birthday on the same day. Moreover, Egyptians also hold music and dance events and enjoy local foods during the months of January till March. You can visit Pyramids of Giza, Egyptian, Museum, The Citadel, Sultan Hassan Mosque, Ibn Tulun Mosque as well as Al-Azhar Mosque. Temperatures start to climb slowly during the months of April-June and will be at its peak specifically with the beginning of June. 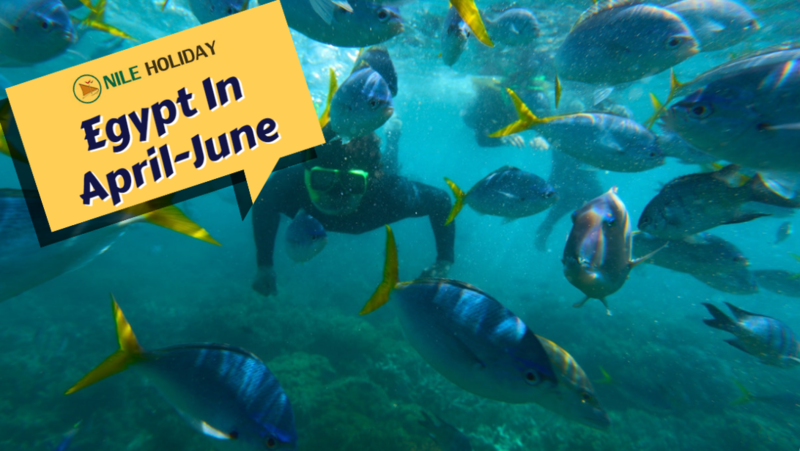 But the good news is that April-June are the months of springtime and an excellent opportunity to sunbathe, swim, snorkel and Scuba dive in Egypt especially in the Red Sea region. The months of April and May marks the commencement of the spring season. Egyptians are known for celebrating Sham Al Nessim. Moreover, you can also get to watch the Easter celebrations of the Coptic Orthodox Church. During the commencement of this festival people normally love to go for outings such as going for the picnic and eating traditional foods for the period of Egypt Holidays such as boiled eggs, green onions and salted fish called Fesikh. These months are favourable for visiting places the Red Sea that remains a topmost location for snorkelling and diving activities for the entire year for your Trips to Egypt. Additionally, several areas and regions of Red Sea are known for beautiful and colourful corals and Rich Marine life. Besides this, you can also get comfort by watching dolphins during this season in several beaches of Red Sea. You can leave for the Red Sea region in the months of July till September to escape the scorching summer. For your information, this particular region offers various recreational activities like going for an underwater exploration in the Red Sea giving you the opportunity to uncover the exotic and stunning marine life, vibrant coral reefs as well as a world-famous sinkhole called the Blue-Hole. In the month of September, visitors can witness and enjoy the celebrations of Islamic New Year that launches the start of Hijri calendar. Throughout the celebration, streets of Egypt turn into a public carnival with the participation of Egyptians and tourists of all ages by dancing, singing, creating new music as well as enjoying traditional foods and treats sold by vendors and sellers. This season is best for watching the Majestic Nile River that used to be the main reason for bringing life and water to Egypt’s ancient civilization. You can also witness a festival named Wafaa El-Nil taking place in early August. This festival is a tribute to ‘Great River Nile’ that is marked by boat and flower parades. Furthermore, people also take part in various types of water sports like rowing and windsurfing as well as take pleasure of picnic alongside the Nile River. 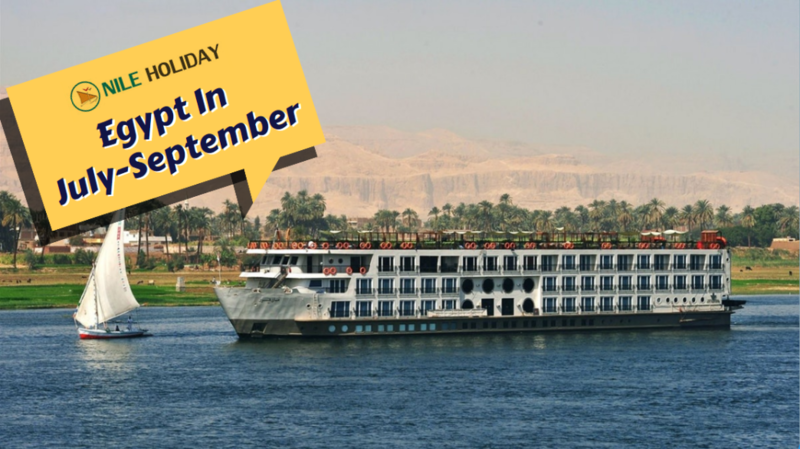 For the period of October till December, the scorching summer relents and gives way to an affordable time to visit and get pleasure from Family Holidays To Egypt. It is a best and perfect time to cruise down the Nile River and making excursions to Egypt’s main tourist sites more feasible. In the months of October and December, you can witness the events like Siyaha festival in the month of October. December marks the birth of Prophet Muhammad and Egyptians celebrates this day as a holiday called Mawlid. You can visit places like Elephantine Island, Nubia Museum, Philae Temple, Aswan High Dam, and Monastery of St. Simeon. 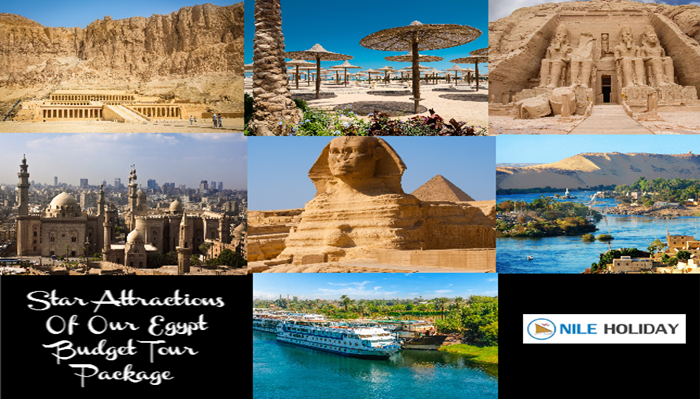 The entire year is filled with full of excitements and surprises for the duration of the Egypt Tours for each and every visitor, no matter where they come from, what’s their colour, religion, creed or kind. Egypt welcomes everyone with open hands. Please contact us @ nileholiday.com to know more about Egypt and its mystical places and wonders.